But heavily unionised loons are not happy that some of their colleagues are audaciously tapping into the free market in order to make more money. 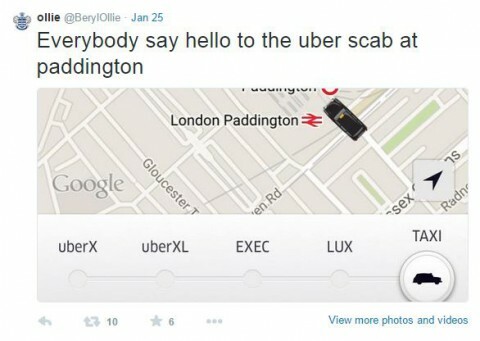 They have been taking screenshots of taxis looking for work on Uber and posting them on Twitter along with pleasantries such as “scabs” and “scum” and “Uber c**t”. Responding to the above tweet, other cabbies posted Simon’s phone number while others sinisterly hinted at finding Simon to say a “big hello”.